"I moved into my new studio in June of this year in Natick Center. I love having a space to create, and have customers drop in and visit. But, the part I love most? 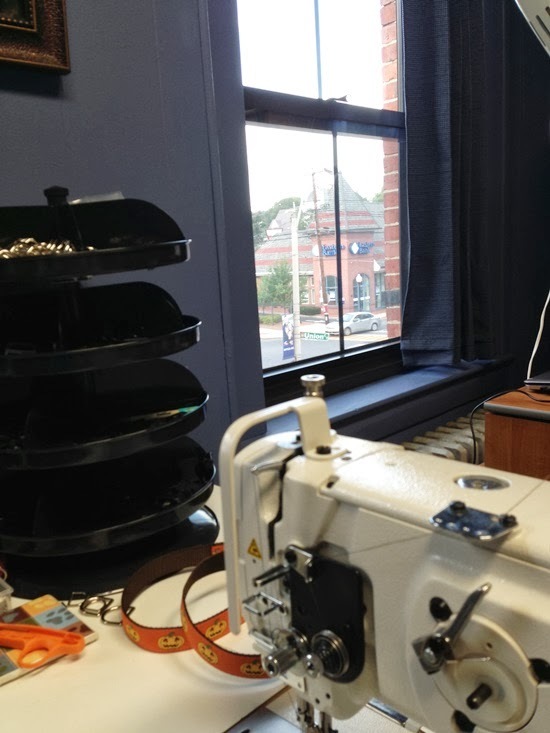 I love watching the hustle and bustle out my window as I am sewing. It is such a contrast from my home studio where all I would be able to watch is the occasional squirrel scurrying along the yard."